— There are at least 3 major Freedom of Information Act exemptions contained in the current version of the bill. Current law already provides 8 different exemptions for homeland security protections, and the state’s emergency response law already allows companies to withhold information about the specific location of chemical storage tanks. Why do we need more secrecy? Unfortunately, one pending floor amendment would provide even more secrecy, carving out an expanded “trade secret” exemption for chemical tank information, despite the fact that the state’s current FOIA already protects true trade secret information from public disclosure. — The definition of which tanks are covered by the above-ground storage tank provisions misreads an EPA rule. 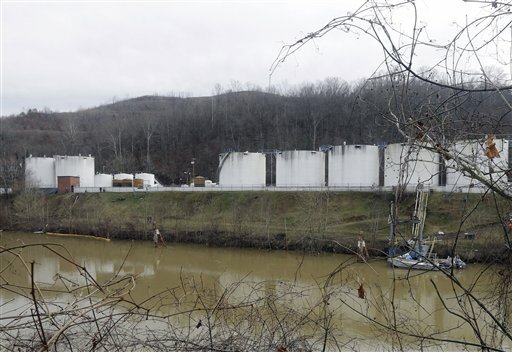 Instead of covering any facility where the aggregate amount stored is 1,320 gallons, the bill would cover only specific tanks that store that amount. Why would lawmakers not remedy this error, so that the maximum number of potential hazards are regulated? — House Judiciary Committee members clearly included in an amendment language to require a new state water system study commission to consider the landmark recommendations from the U.S. Chemical Safety Board for a new state chemical accident prevent program. But that provision doesn’t appear in the current version of the bill. Will House leaders remedy what appears to simply be a clerical error, and get that language back in the bill? The committee also exempted coal companies regulated under the state surface coal mining and reclamation act from several fees, passing two amendments proposed by [Delgate Rupie] Phillips, [D-Logan]. He also tried to exempt such companies from a portion of the bill that would allow the Bureau for Public Health to enter, inspect or conduct sampling at sites that fall under the purview of the state Department of Environmental Protection in the bill. “Well, they’re already regulated,” Phillips said, when asked why he thought the exemption was needed. Delegate Nancy Guthrie, D-Kanawha, pointed out the chemical industry is also regulated. That regulation, and a failure to communicate, helped exacerbate the problem following the contamination of the water supply, Perdue said. Perdue and Finance Committee Chairman Brent Boggs, D-Braxton, said they opposed the amendment In response, Phillips downplayed the danger of chemicals used at surface mining sites. MCHM, the main chemical involved in the recent spill, is used in the cleaning and processing of coal. It’s typically used at coal preparation sites, which are regulated under the act Phillip’s referenced and would have therefore been exempt from the proposed bill under Phillips’ amendment. That amendment failed. But it’s hard to imagine that a whole lot of industry lobbyists aren’t going to be spending a lot of time between now and midnight Saturday trying to get all of those exemptions — the ones they handed to DEP and the governor’s office in an industry-only “stakeholders” meeting — back into this bill. The other day, West Virginia American Water resident Jeff McIntyre was telling lawmakers how when he goes to local restaurants, he has “demanded” that servers bring him tap water, not the bottled stuff that many local establishments have been serving to residents who remain wary of the lingering impacts of the chemical spill. McIntyre told lawmakers the only way for the community to move on from the water crisis was for things like bottled water service in restaurants to cease. Maybe McIntyre is right. There are certainly a lot of leaders eager to move on from what happened in January and February. West Virginia American Water has stopped providing bulk water distribution, despite residents clearly wanting an alternative to tap water they still don’t trust. Kanawha County Schools officials have taken the plastic bags off drinking fountains — though you have to wonder whether they think that’s a good decision, given that they waited until Friday night to tell parents about the move. WSAZ-TV reports that the National Guard has taken its last samples of water from the distribution system, though we still don’t know for sure whether MCHM at very low levels that perhaps can’t be specifically quantified was detected in the latest samples. In some ways, the state is doing this whole thing backwards — first turning the water system back on, and then funding a study that will tell us whether that was done too soon. The citizens of this state who rely on their government to protect their right to clean, safe drinking water expect and deserve more … We expect that the House, and Senate, will correct these undermining efforts in order to pass a strong water protection bill. This is their opportunity to begin transforming the status quo in this state of favoring industry interests over our health and right to use and enjoy clean water. 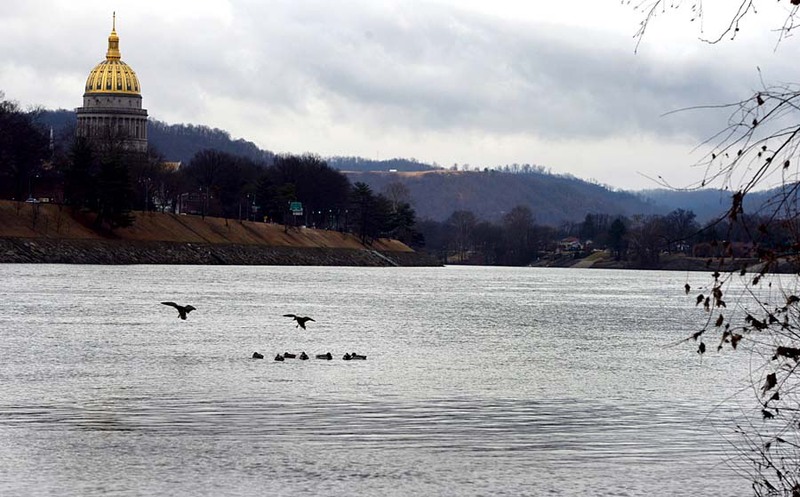 As hundreds of thousands of West Virginians now know first-hand, there are no exceptions or compromises when it comes to the need to protect our water. It would be a shame to turn the page on the water crisis before we know that it’s really over — and, more importantly, without learning everything we can from it. You are very generous in allowing that some of the problems with the bill are due to misunderstandings and clerical errors. When a bill is gone over with a hundred microscopes like this one, I don’t think there are any errors that have not been made intentionally. Especially not that one about the 1350 gallon tanks.